What else can you do while on Liberty's campus? Ski, snowboard, or tube — no matter what season it is — at Liberty Mountain Snowflex Centre, our year-round ski slope. Take a trail ride on horseback at our Equestrian Center. Try out our more than 20 unique dining options — including pho from Star Ginger, falafel from Garbanzo, burgers from Hey Cow, and comfort food from our own food truck — across campus. Check out the student game room in the Montview Student Center. Find your favorite future study spot, whether it’s curling up by a fireplace (Hancock Welcome Center), gazing out at the lake (Jerry Falwell Library), or catching a sunset over the mountains (Freedom Tower). Go bowling at our indoor bowling alley in the Montview Student Center. Explore our more than 50 miles of single- and double-track trails on Liberty Mountain. Grab a latte at one of our two on-campus Starbucks’ or a unique chai at Argo Tea, a sustainable business that works with the best local and global tea, coffee, and food artisans. Discover how the Hydaway Outdoor Recreation Center can help you get away from it all while staying on campus (hint: kayaking, canoeing, and camping are involved). Go rock climbing on our indoor rock wall at LaHaye Recreation and Fitness Center. Explore Liberty's campus on your own or take a student-led college tour. Hike up to the LU monogram and get a breathtaking view of Liberty’s campus. WHAT: A four-day immersive event where you’ll discover, explore, and learn everything you want to know about life at Liberty. WHERE: Liberty University, Lynchburg, Va.
WHY: Because your future is important, and you want to be as informed as possible before you make a big decision that affects it. HOW MUCH? At CFAW, you’ll get lodging for four days, all your meals, and entrance to campus activities (like athletic events and other great activities*) for only $50. If you’ve already submitted a $250 Confirmation Deposit, then you’ve locked in one of our most generous scholarship packages, and you’re invited to join us at one CFAW for free! Already accepted as a residential Liberty student? CFAW is a great time to try your new life out — and since you’re part of the family, it’s on us. *Please note that your concert ticket is NOT included in this price and there are no refunds for CFAW. Payment is due at the time of registration and can be made online during registration or by phone. Register online or call an admissions counselor at (800) 543-5317 to register for CFAW and pay your registration fee. Don’t want to come alone? Bring your friends! GROUPS: Tell your youth leader! All group leaders (youth, church, parent, or school leaders) who bring 10 or more students to CFAW will receive meal vouchers, hotel lodging, and athletic and concert tickets for themselves and their spouses. You can also reach out to us directly at (434) 592-6043 or CFAWGroups@Liberty.edu. 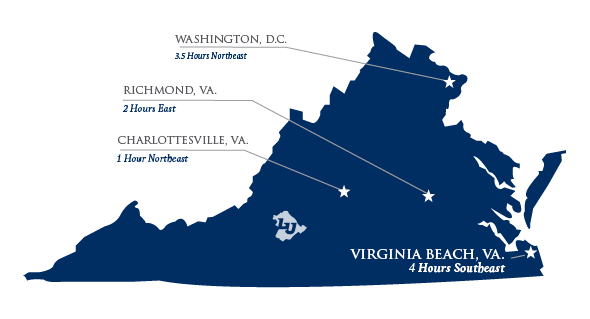 If you live in Canada and are interested in attending our CFAW event in April, a Canadian charter bus will be coming to and from Woodbridge, ON and Liberty University. Check our Planning Guide to learn more about what to pack for a weekend college visit, parking, transportation, lodging and dining, disability accommodations, and more. You can also reach out to us directly at (800) 543-5317 or CFAW@Liberty.edu.